First, locally, to Southern Wisconsin . 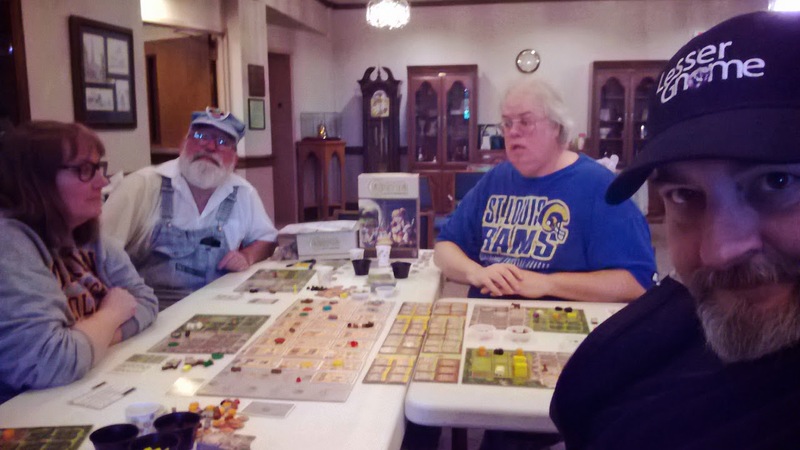 . .
Lake Geneva Games is hosting a gameday this last Saturday, January 3rd in celebration of the New Year. You can donate five dollars to the kitty if you want to partake of the pizza and snacks, soda machine on premises, or bring your own feast from the many restaurants right down the street. check out more information on the Lake Geneva Games Facebook page here and the events page here. Bruce Heard will be running a role-playing game session introducing The World of Calidar on Wednesday, January 14th, at the Burlington (WI) Public Library, from 6:30 pm to 9 pm. More information can be found here. Midwinter Gaming Convention is happening in Milwaukee January 15th to 18th at Hilton Milwaukee City Center (509 W Wisconsin Ave., Milwaukee, Wisconsin 53203). It's the Fifteenth Anniversary of this event and they have quite a line up of guests and games. See more here. 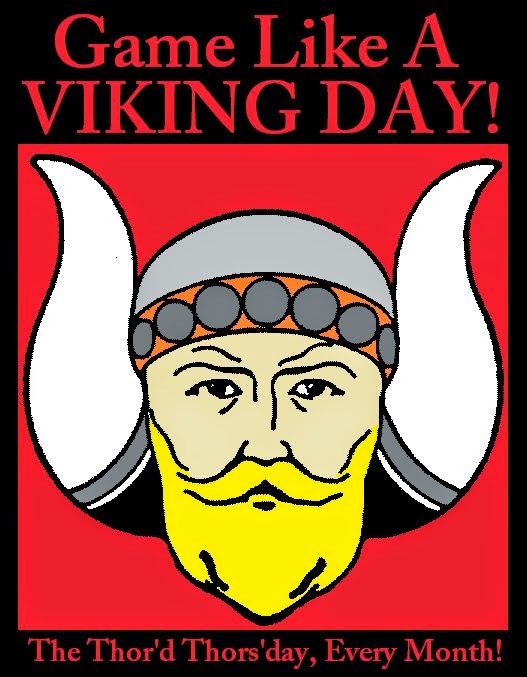 Be sure to make your plans for January 15th, the "Thor'd Thors'day" of January, since it is the monthly Game Like a Viking Day! It's a chance, no matter where you are, to break out your Viking-themed tabletop games and have at it. See more of this ongoing monthly day of fun on the Facebook page here. The third Saturday and Sunday of January, and indeed almost every month, includes the Burlington Gameday on Saturday, January 17th which sets up events through the Burlington UCC Game Day group on Facebook here and A Gathering of Gamers on Sunday, January 18th, set up by the South Lakes Area Gamers here. The former is in Burlington, WI at the Plymouth UCC space and is free taking place from approximately 11 am to 5 pm. The latter takes place at the Pizza Ranch in Elkhorn, WI, and requires a $12 fee for the all you can eat pizza and fried chicken buffet (salad bar, soft-serve ice cream machine, etc.) plus unlimited soft drinks and coffee from 11 am to 8 pm. Spreading a wider net . . .
Ikkicon takes place in Austin, TX, January 2nd thru 4th. Check it out here. The Prairie Game eXpo IV happens at the Core Ritchie Community Centre (in Regina) on Saturday, January 17th. More info found here. Don't forget the Winter Game Fest in Reisterstown, MD, happening January 23rd to 25th. Find out more here. Bak-Anime will be in Bakersfield, CA, on January 24th and 25th. Learn more here. The Southwest A&G Expo in San Antonio, TX, promises to be a good time from January 30th to February 1st. See more here. There's some gaming at Animation On Display in San Fancisco, CA, January 31st and February 1st. Details are here. Coming up in near months, New England's Largest Game Convention, Total Confusion, runs February 19th to 22nd, 2015. More info can be found here. Later, February 27th thru March 1st, check out the information here on the Fire & Ice game convention. It's also their 15th anniversary. Online Registration will open Jan. 10 and run through Feb. 13 for Cold Wars which takes place March 5th thru 8th. This year's theme is Civil War 1865 commemorating "150 Years" since that conflict began. This is easily one of the top events held by the Historical Miniatures Gaming Society in the US, so if you want to get some wargaming in, head to the Lancaster Host Resort & Conference Center in Lancaster, PA Get more information here.